It was quite a surprise. I never knew that CANADIAN BEEF could be made to adapt to the Filipino taste bud. It's something that is very clean and is easy to use and cook with. 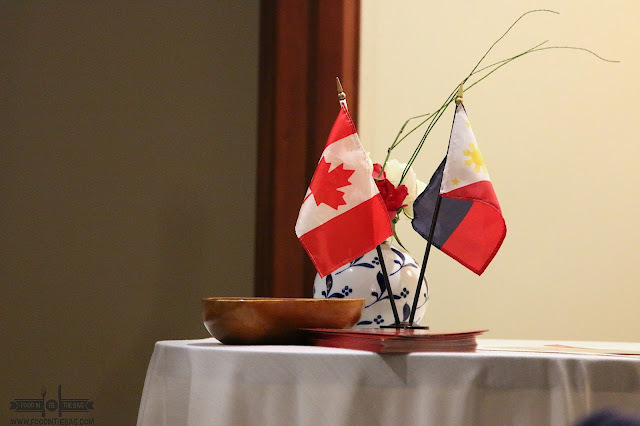 Last week, a simple and intimate dinner was hosted by the Canadian Embassy in the Ambassador's Official Residence in Manila. Industry leaders and a select number of influencers were gathered to celebrate CANADIAN BEEF. 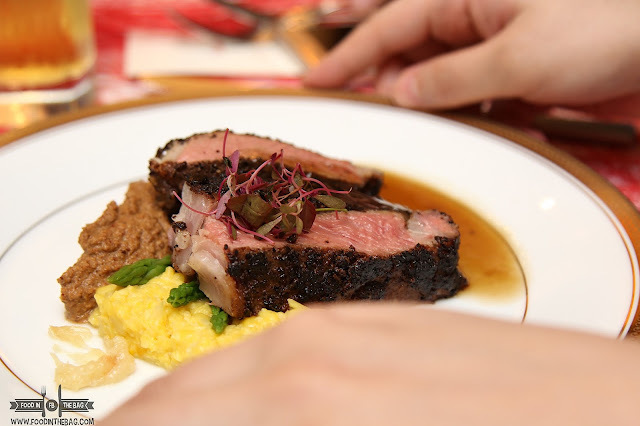 Cooked in a way that it would target the Filipino Palate, the Fusion Dinner was set. 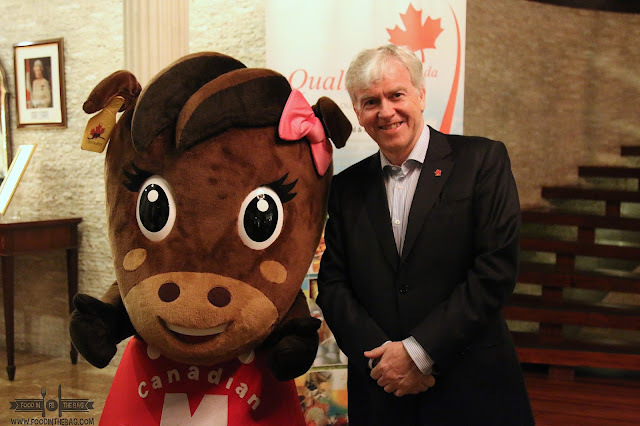 Ambassador John Holmes and Maple was there to welcome guests as they arrived. The atmosphere was quite festive and everyone was happy. More so, since there were a couple of Celebrity Chefs in our midst. 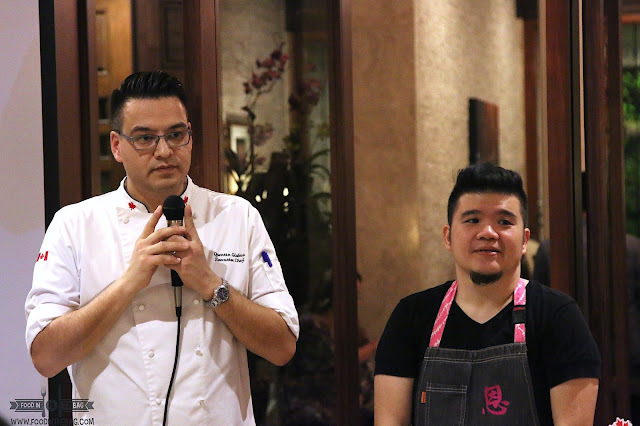 Chef Quentin Glabus and Chef Sharwin Tee partnered up to showcase their brilliance with regards to have CANADIAN BEEF in their dishes. Chef Quentin is known for using local ingredients for his dishes. On the other hand, Chef Sharwin has studied in Canada so he is pretty familiar with the ingredients and everything Canadian. To start, Chef Sharwin presented a quick and easy to do dish. He demonstrated how he was able to create the appetizer. 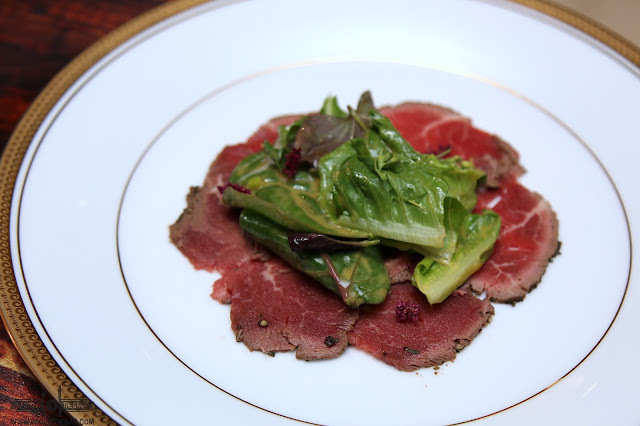 BEEF CARPACCIO. It was topped with local green salad and a simple mix of "sawsawan" dressing. 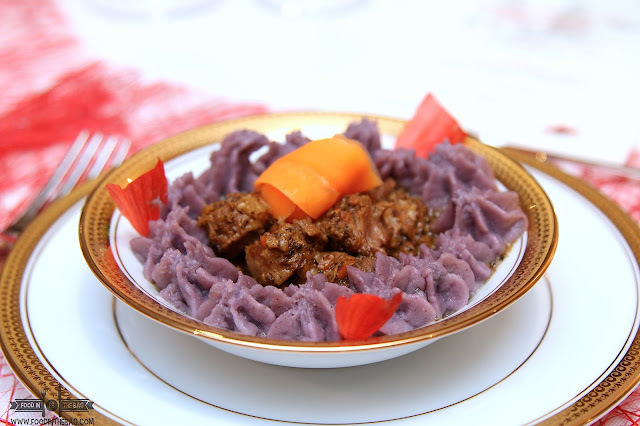 The second course for the night was the BEEF SININA PATE CHINOIS. Sinina is actually a version of Filipino Beef Stew. This one was partnered with a sweet mashed potato that was quite interesting as it was color purple. 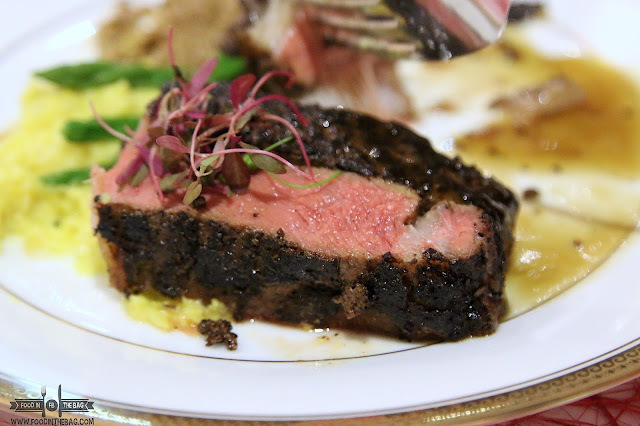 The beef was very flavorful and absorbed all the qualities of the ingredients. One dish that I can not say no to would be hard cold delicious steak. It's juicy, tender and spot on delicious. 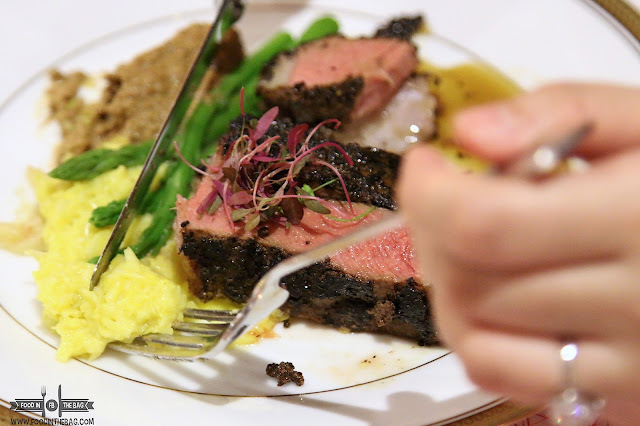 Using Canadian Beef, Chef Quentin Glabus created a Espresso and Cocoa Charred Ribeye. Partnered with corn polenta and sunflower seed puree, these gave it another dimension. 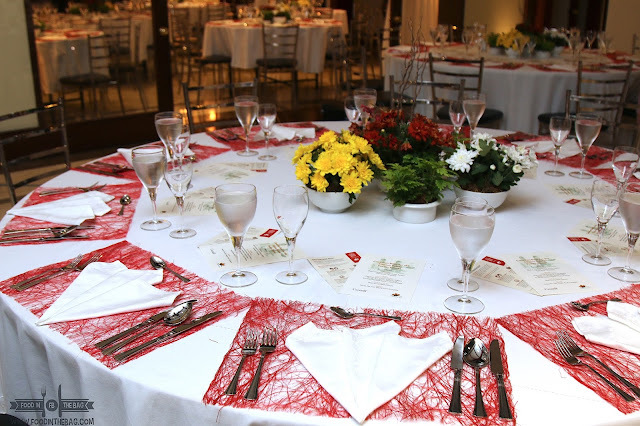 This course highlighted the different characteristics that the CANADIAN BEEF is known for. The taste is very clean. The meat is tender and packed. The chef really did a number on this. Dessert was something quite interesting. 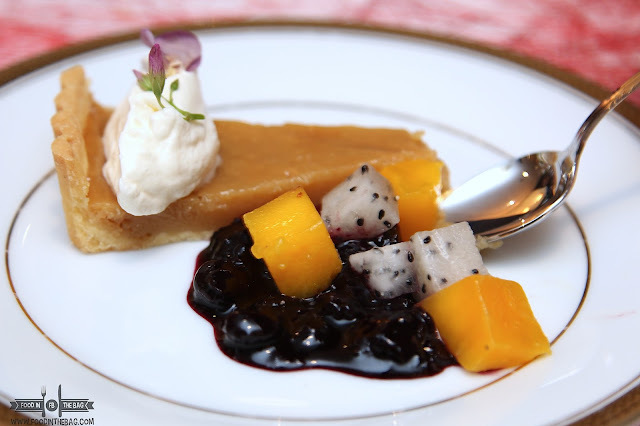 To highlight Canada, it was Honey Pie with Maple Fruit Compote. Not so sweet but just right, it was the perfect ending to the night. 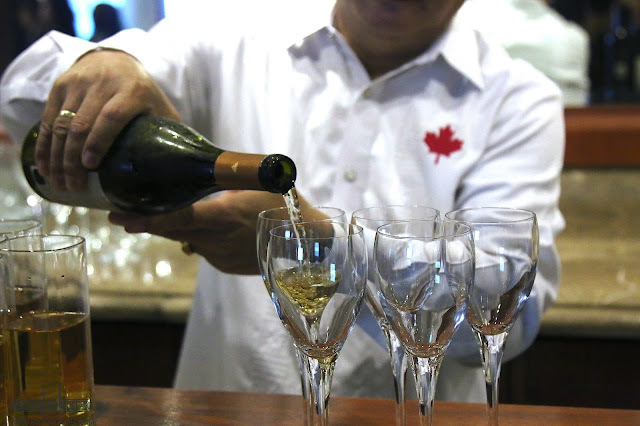 A surprise winner though would be the Canadian Wines served during the dinner. Both red and white were smooth and fruity. Quite a nice touch! Canadian Beef is available in all major supermarkets. 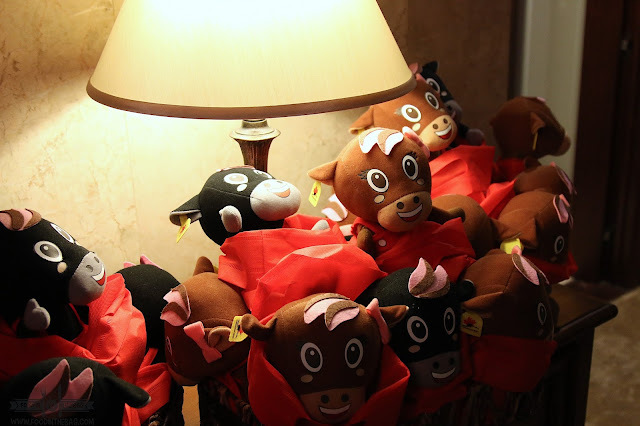 It's quality beef that is readily available in the market. World Class standards are upheld and regulations are respected. Of course, sustainability is in the hearts and mind of every ranchers and farmers that tend to Canadian Beef.